These include the following: To place between joists to provide insulation, below floor screed, belo.. Perfect for use within the building trade, removals and also warehouse dispatches. 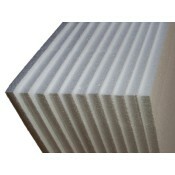 our packs of 12 s..
A pack of 6 sheets of thick expanded SDN polystyrene sheets (EPS 70). 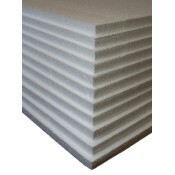 The size of each sheet is 2400..
Two packs of 6 sheets (hence 12 total) of thick expanded SDN polystyrene sheets (EPS 70). The size o..
Three packs of 6 sheets (hence 18 total) of thick expanded SDN polystyrene sheets (EPS 70). The size.. Perfect for use within the building trade, removals and also warehouse dispatches. 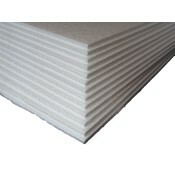 Six packs of 6 sh..
A pack of 12 sheets of thick expanded SDN polystyrene sheets (EPS 70). The size of each sheet is 120..
A pack of 25 sheets of thick expanded SDN polystyrene sheets (EPS 70). The size of each sheet is 120..
100 sheets of thick expanded SDN polystyrene sheets (EPS 70). 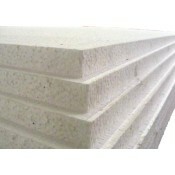 The size of each sheet is 1200x600x25m..
A pack of 6 sheets of thick expanded SDN polystyrene sheets (EPS 70). The size of each sheet is 1200..